Jump to video Do green luxury cars need tax incentives? 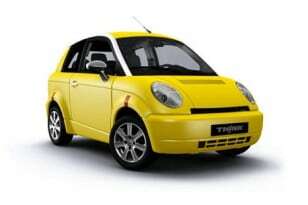 Think plans to sell its City electric car in the U.S. in 2011. Not so long ago, electric vehicles were woeful. They were fringe models sometimes with no back seat, a short driving range or no amenities, or they were exorbitantly expensive converted gasoline-powered cars. The idea of visiting a nearby car showroom to buy an electric car from a car company that might still be in business a year down the road was unheard of, until now. 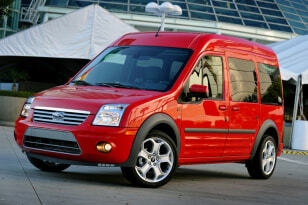 The first modern, mainstream electric vehicles are coming to market in 2011. Here are some of the options that will really, truly be available to car shoppers in most areas of the country in the next year ahead. 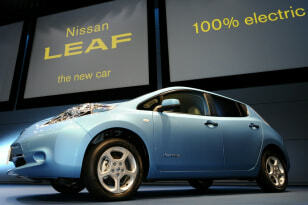 The battery-electric Nissan Leaf is hitting dealers in limited regions now, with a nationwide rollout to come in 2011. Nissan has invested in battery manufacturing plants with the expectation of selling a half-million electric cars a year worldwide. That will mean a proliferation of Nissan and Infiniti electrics in varying sizes and shapes to suit customers who might not want a funky-looking subcompact like the Leaf. 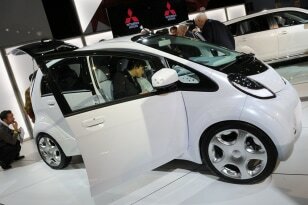 The Leaf starts at $32,780 before any tax credits. “Never drive faster than your guardian angel can fly.” It’s a popular safety admonishment, but the electric car equivalent could be “Never drive farther than your extension cord can reach.” The Chevy Volt addresses the fear of running low on battery charge with no power outlet nearby by including a gas-powered generator on board to propel the car to the next charging station. 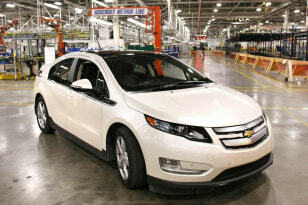 Like the Leaf, the Volt is in mass production and is on sale now, so you can buy one from a nearby dealer. It costs $41,000 before tax credits. 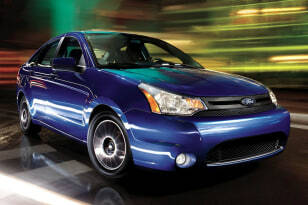 The Focus has been a popular compact model in recent years. So when an electric version arrives in Ford showrooms toward the end of the year consumers will already be familiar with the Focus name and driving experience, but they will have the option of enjoying that sans gasoline. A 23 kilowatt-hour battery pack should give the Focus about the same driving range as the Nissan Leaf, but in a more spacious, mainstream model. For even more space, electric car intenders can opt for the Transit Connect Electric minivan. This vehicle is aimed at commercial customers who make delivery runs over a pre-defined distance before returning to a base to recharge, but with an 80-mile range the Transit Connect could also do soccer mom carpool duty. But you can probably forget using it for the holiday drive to Grandma’s house or a summer vacation trip unless those destinations are nearby. Ford has already started delivering electric Transits to fleet customers, but retail pricing still isn’t available. Mitsubishi “electrified” one of its tiny Japanese domestic market “kei” segment minicars, but found that global customers found it too claustrophobic. So in late 2011 the company will launch a version that is four inches wider, allowing the I-MiEV to feel more like a real car and a bit less like a Smart ForTwo that’s been stretched to seat four people. This car will cost less than $30,000 before any tax incentives, so it could be the least expensive battery electric on the market. 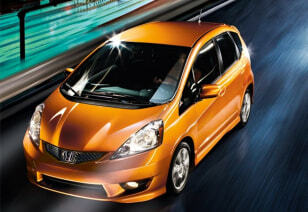 The Fit won’t reach showrooms until 2012, but like the preceding models it will come from an established carmaker that can provide sales and service from a nearby dealer for most customers. The Fit will have the same 100-mile range as most cars in the battery EV segment, but it offers three driving modes that can improve acceleration or driving range, depending on the program selected. The electric drive motor is derived from the one in Honda’s FCX Clarity fuel-cell car, and the Fit EV can reach a top speed of 90 mph. Tesla is not a longstanding traditional car maker, but the company is building credibility by steadily delivering it zippy two-seat sports cars to customers. The Tesla Roadster is tiny and holds only two people, and it has a six-figure price tag, so most buyers are wealthy consumers who are adding an electric plaything to their personal fleet. 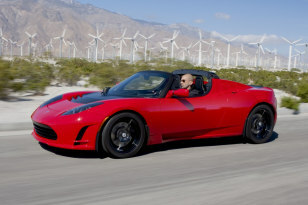 That means the Tesla Roadster is probably not doing a great deal to solve the world’s energy problems, but it has served a useful role in advancing interest in electric vehicles and it is helping to establish the Tesla brand name as the company plots more mainstream models. 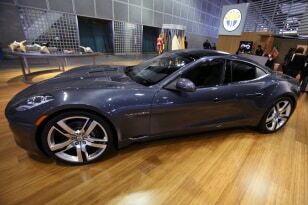 Like the Chevrolet Volt, the Fisker Karma backs up its battery pack with a gas-fueled generator. Like the Tesla Roadster, the Karma has an exclusive price tag that will preclude its widespread use as a commuter car. But the Fisker Karma does help illustrate the point that electric-powered cars need not be tiny, or funny-looking. And while Fisker is a new, unproven brand, founder Henrik Fisker has earned respect in the industry over the course of his career as a designer, and he has inked a deal for the Karma to be assembled by a Finnish contract manufacturer that has also built cars for Porsche, so this company probably isn’t the flash in the pan it might appear to be. Speaking of Nordic companies, Think is a longtime electric carmaker from Norway that Ford briefly owned during its acquisitive days. The company has since regained its independence and is selling the latest version of its tiny four-seat City electric car in Austria, Norway and the Netherlands. Think plans to sell the City in the U.S. in 2011, so keep an eye out for availability, but don’t expect to find a dealer in every town as with the established carmakers. 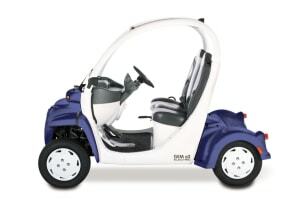 GEM doesn’t stand for Golf carts Everywhere Manufacturing (it is actually Global Electric Motorcars), but its little machines are built on a scale closer to that of golf carts than of real cars (even the Think City and Mitsubishi I-MiEV look menacingly large by comparison, and those cars meet all federal crash safety requirements). GEM’s neighborhood electric vehicles are good for tooling around a corporate campus or running neighborhood errands on streets with low speed limits, and their comparatively low price tag (starting at $7,500) makes them an appealing option if you only expect to use your electric car for these sorts of uses. Video: Do green luxury cars need tax incentives?